50 years-old American poker pro Travis Baker has just set the whole Rio alight by winning the $ 1,000 buy-in Seniors No-Limit Hold'em Championship at the World Series of Poker (WSOP). As a reward, the Oklahoma native cashed his biggest ever earning: the top prize of $ 613,466. Travis Baker has regularly participated in poker tournaments held close to his place of residence since 2003, the year when he saw Moneymaker playing. 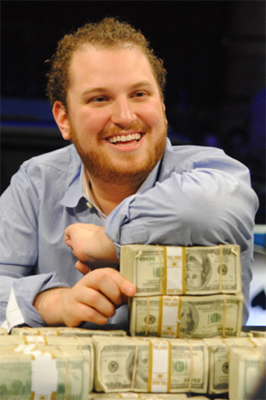 In the WSOPs Event # 40, he beat a panel of tough competitors, the likes of Steve Gee. His extensive live poker experience has been an important asset for his win. By knocking Carl Torelli out in the ultimate clash, Baker cruised on top of the podium and grabbed his first gold bracelet. Runner-up Torelli was awarded $ 378,766. As for the other ongoing events, Rios poker rooms are currently heating up with the Event # 42, the $ 1,500 buy-in NLHE Extended Play. Only 26 survivors now remain in this race with UKs Barny Boatman leading the way in chip count, ahead of Brazils Luis Duarte. Recall that the eventual winner in this battle will be awarded $ 478,102 of payday. FrancesYehoram Houri is also among the survivors. So far, no representative from France has won a bracelet. Hence, his fans expect a truly stunning performance from him. The Event # 44, the Poker Players Championship, for its part, has just concluded its Day 2 flight. The event attracted only 84 entrants. Stars of poker, the likes of Phil Ivey and Doyle Brunson, were not in attendance. However, Scott Seiver, Jonathan Duhamel and Shawn Buchanan are among the notables in the hunt for the title. All of them now have their hearts set to the whopping $ 1,270,086 of payday.